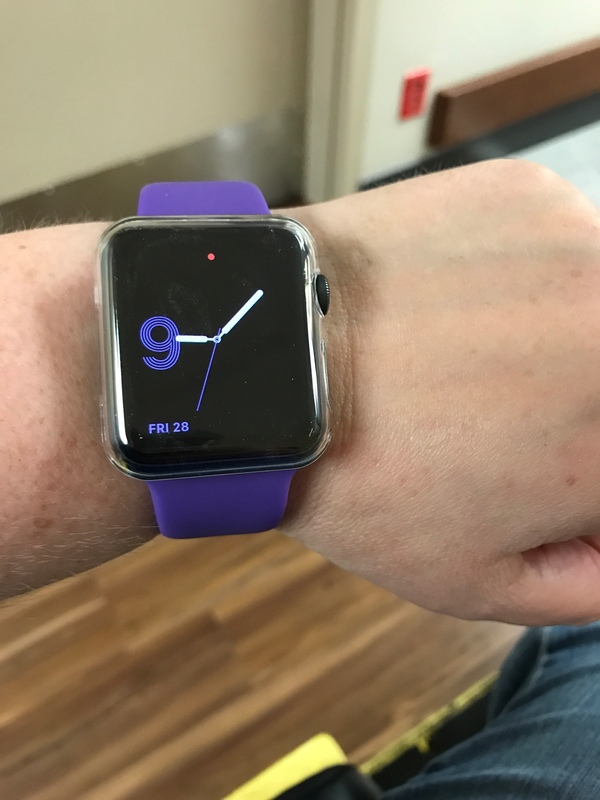 We are giving away 10 apple watch bands for honest review, US ONLY. 7 colors and 2 sizes (38mm/ 42mm) available. Fit for apple watch series 1 2. Please PM if you are interested. Thank you. This one is very nice. I've got no details on it, though. I have a wood watch. 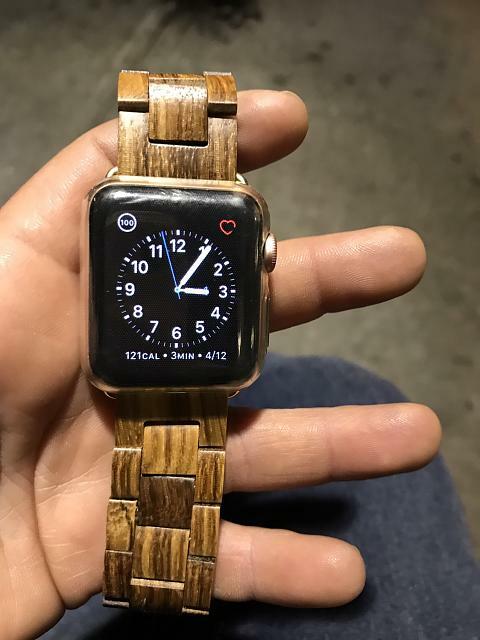 Might have to look at a wood band for the AW as well. Picking up a fully wooden watch after a steel watch is a crazy difference in weight, and I like the light weight. Probably wouldn't be as noticeable with the aluminum watch with silicone band vs wood band though. Purple silicone and white leather. Spencerdl and cwbcpa like this. https://uploads.tapatalk-cdn.com/201...518b2f3c52.jpghttps://uploads.tapatalk-cdn.com/201...bf9014bcaa.jpg Purple silicone and white leather. 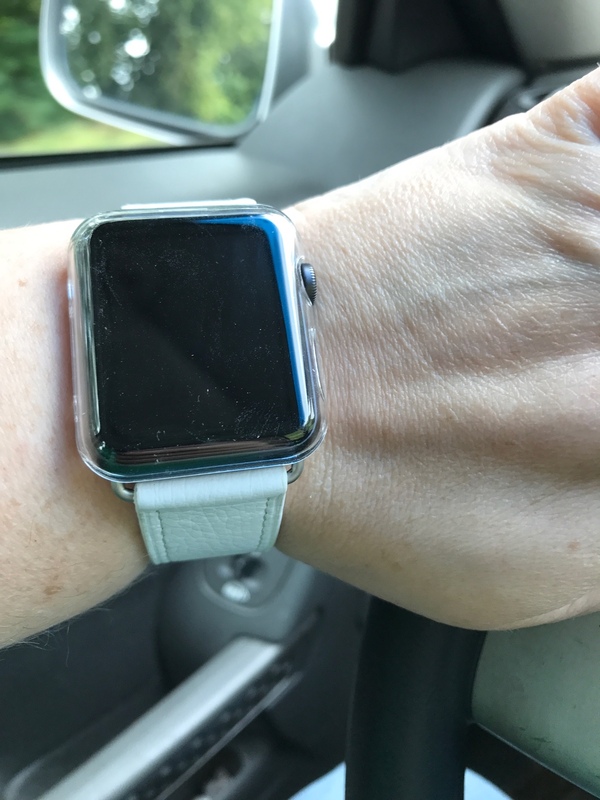 @bluesqueen23 - I dig the white leather strap. Where's it from?? I bought it off Wish.com They have a ton of bands. I think it was $1. I don't know what kind of leather it is but it feels so soft. My newest bands. 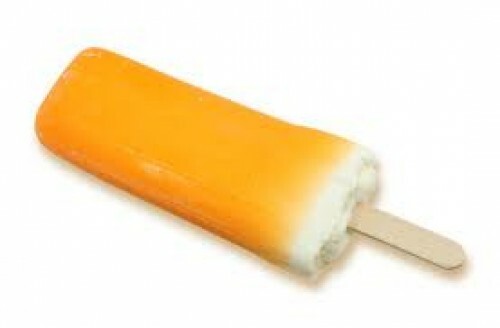 Love the peachy/orange one. Very nice. Are those Apple™ Sport Bands? It looks like Apple has dropped some colors from their lineup again. Out of your four, only the Red is still available from them. 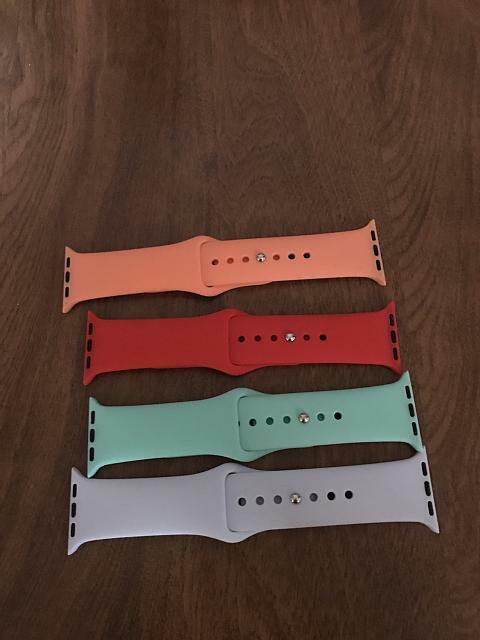 I've got that Turquoise band and would like to get the Orange band but would have to settle for a non-Apple® brand. They are all third party bands. The only apple band I have is the one that came with the watch. tdelfie03 and Spencerdl like this. Just picked this one up on amazon from Ouluoqi. It says it's leather. It's comfortable, but for $10 I don't expect it too last a real long time. We will see. I have a sports band from them that's not bad so I figured I try this for $10. Spencerdl and Buckeye2009 like this. Humm, do you have a photo with it on your wrist? Huh. I've noticed several times when I click some links here, all I get is a new window with about:blank in the URL window, and nothing ever loads. This is the case with both instances of the posted link. If I CnP the link to a new tab window, the link works and the site loads properly. On point, I have a black mesh KO band from some Amazon vendor that's— ok. It shows some less-than Apple polish on the magnetic tab (i.e. looks cheap) and the magnet isn't as strong as the Real Deal. After several minutes it's a little loose and requires tightening. Otherwise it's nicely done, but still a marginal purchase even for $12. I was in a nearby Best Buy Store messing around this past Sunday and saw a black Platinum magnetic watch band. Does it require any adjustment throughout the day? My $12 version does and it's a little annoying. The band is very smooth, almost silky-feeling, and the magnet is also smooth (but not 'silky'). I'll try a thin could of something that has some friction to it, maybe a very thin coat of 3M Weather Adhesive or the like. I like the band well enough but am annoyed at the need to readjust it more than once a day. We opened a new online store offering third-party sport bands, nylon bands, milanese loop recently. We are planing to giving away some bands in exchange of honest reviews. Please pm me if you are interested. 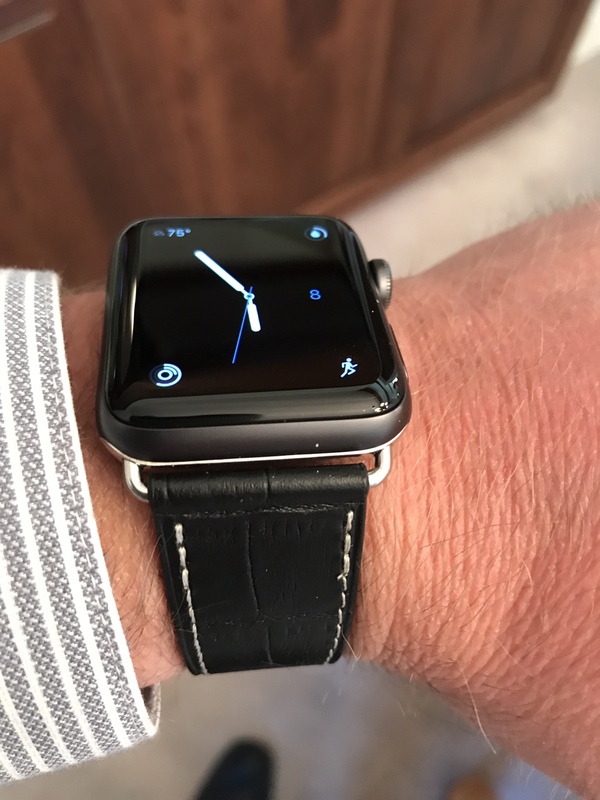 Can the Watch Series 2 be paired with 3rd--party HR straps? How can I get a refund for my Apple Music membership?